To the guardian angels who keep watch over those who sleep in the deep quiet earth. On the eve of the anniversary of his wife's death, Charles is as restless as the coming storm. Surrounded by the eerie stillness of the Mojave Desert, he contemplates suicide, but just as he is about to jump to his death, he hears the melodic voice of his wife telling him it's not his time. Then Charles meets Emma who looks so much like his wife she could be her twin. Bewitched, bothered, and bewildered, Charles is drawn to her. When they discover their spouses have died on the same day and are buried side by side in Guardian Angel Cemetery, a spiritual bonding occurs that neither can deny. Is it fate? Or is Cupid shooting arrows from the sweet hereafter? As the sun set over the Mojave Desert, the Sierra Nevada Mountains were roughly defined against a dramatic sky of crimson and lavender blue. The warm breeze undulated through the ponderosa pines, sounding like the wise old whispers of the Indians buried thousands of feet below in the windblown sands. A vulture hovered high above the foothills, an eerie screech foreboding as it circled the canyon. Easing his midnight blue SUV around the horseshoe bend in the sloping ridge, Charles thought about his wife. Jill had died two years ago of cancer and the following day was the anniversary of her death. Frustrated, his eyes filled with tears. His vision blurred and he swiped at his eyes with the back of his hand. He was angry at the whole world and at God. His heart was breaking. What kind of a God would take away the love of his life, his reason for living? How was he supposed to go on living when the best part of him was gone? More tears spilled down his cheeks. He wanted Jill back. He needed her and wanted her with him, where she belonged. 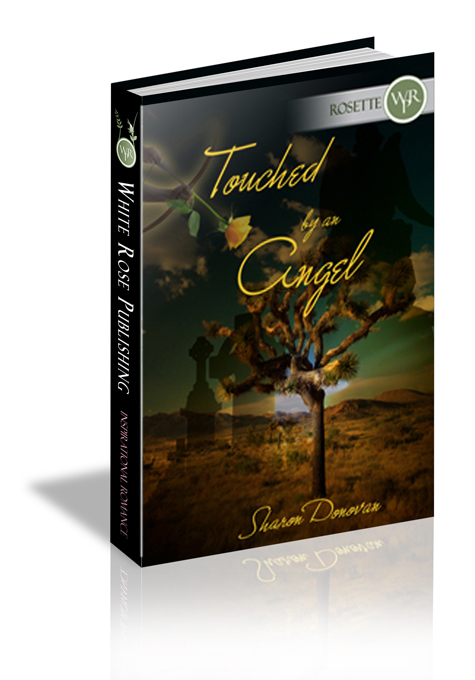 He envisioned her out in her rose garden, clipping and pruning them to sheer perfection. How she’d loved the yellow rose, and as much as he used to love them, he didn’t any more. Baskets and baskets of yellow roses had been crammed into the funeral home, permeating the air with the funereal smell of death. She was so pretty. Her serene green eyes were the color of the sea. He pictured her digging her hands in the rich fertile soil, looking so peaceful and content. Bathed in sunlight, she had the face of an angel. She had a mega-watt smile that totally beguiled him. No matter how hot or humid it was, she always looked fresh and lovely. She had a habit of toying with a strand of her long blonde hair, twirling it between her fingers until it waved. Under the amber glow of the hot desert sun, it flickered like wildfire. Lord, he missed that woman. As Charles drove deeper into the foothills, the terrain became noticeably rougher, more uncultivated. The air hummed with just a hint of danger. The pioneer spirit of the Wild West was still palpable as burros and wild horses galloped amidst the sloping landscape. How he missed those long afternoon drives through the wilderness with Jill, imagining what life must have been like in the days of the Wild, Wild West. More memories of Jill flashed through his mind, filling him with a deep sense of foreboding sadness. Tears streamed down his cheeks. The desolate road weaving in and out of the canyon was flanked with sagebrush and tumbleweed, and deep in the underbrush, mountain lions and bobcats roamed free. A coyote yipped in the distance, its howling wail slicing through the thick humid air. As the sun disappeared behind the Sierra Nevada Mountains, the sky blended into a menagerie of pale peach, rich magenta, and deep indigo. Charles thought of all the sunsets he’d seen with Jill. All those good times, better times. She should be here to watch the sunset with him. Why wasn’t she? Why did she have to die? He felt so betrayed. Life wasn’t fair. White hot fury bubbled up inside him until it erupted like a quaking volcano. Pulling off to the side of the road, he hopped out of his vehicle. He stared up at the heavens and shook his fist at God. He wanted answers. He needed answers. Angry and frustrated, he bellowed at the top of his lungs. The air carried with it the scent of a coming storm. Thunder exploded in the distance. A desert storm was closing in on the Mojave. The wind rippled through the surrounding Joshua trees. The mournful cry of a desert thrasher sliced through the night. Charles was as restless as the approaching storm. He looked down. The hillside gave way to steep ravines, tumbling down over rugged cliffs to the valley below. The only thing separating him from a drop of several thousand feet was a mound of crumbled rock. He took a step closer. He looked around. He had to be hallucinating. It was probably the sound of the wind, swooshing through the Joshua trees, but whatever it was, he had a chill as cold as Lucifer’s heart. Drenched and frightened, he tore down the road to his vehicle. Turning right at the fork in the road, Charles passed the town florist. He heaved a heavy sigh. How many times he’d gone in there to pick up a bouquet of yellow roses for Jill’s birthday or their anniversary. A tear slid from his eye. Tomorrow he’d pick up a wreath of yellow roses to place on her grave.